Your wedding is a unique event, and with your needs in mind we provide customized photography & video services so that you get just what you want to remember every moment. Whether it’s photography, video or both, we will be there for the time you need and provide just the features you want. Our Most Popular Full Coverage Options! Retainer fee $600 deposit required to book photography or video, $1,200 for both. Final balance due 30 days prior to wedding. Editing of photos includes cropping/color adjustments, retouching is available for additional fees. Any credit included in any package has no cash value and is non-refundable. All items and service subject to 8.70% sales tax. All French Quarter/CBD location weddings are subject to a $75 parking reimbursement per service fee. 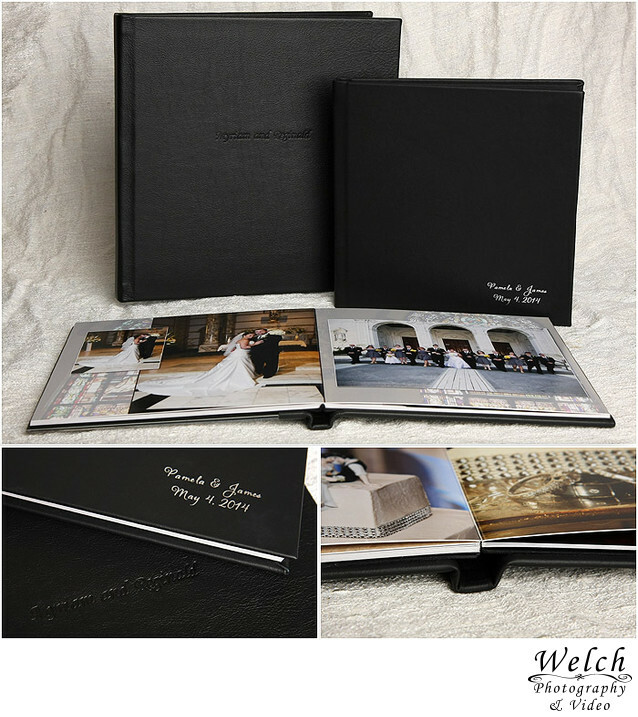 This album features page layouts in a contemporary “Storybook Style” which includes freestyle photo arrangements giving it a customized design that reflects your unique wedding day. It comes with 30 images you select and has a 10×10 leather cover that includes monogramed or embossed names of the bride and groom. Pricing starts at $500 for Coffeetable album with thin flexible pages or $650 for Flushmount album with thick rigid pages. All album pages are made with true photographic prints. Upgrade choices include 10 additional images for $100, or 20 additional images for $150. Can upgrade to 12×12 size album for $250 additional. 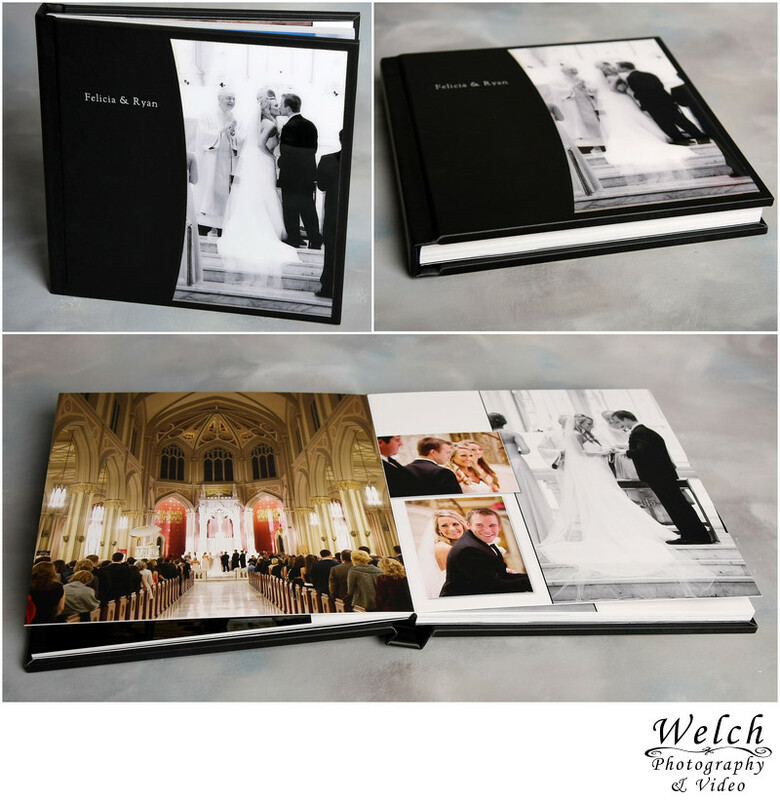 This album features page layouts in a contemporary “Storybook Style” which includes freestyle photo arrangements giving it a customized design that reflects your unique wedding day. It comes with 30 images you select and has a 10×10 Canvas Image cover that can include images from your wedding with your names and wedding date on the cover. Pricing starts at $500 for Coffeetable album with thin flexible pages or $700 for Flushmount album with thick rigid pages. All album pages are made with true photographic prints. Upgrade choices include 10 additional images for $100, or 20 additional images for $150. Can upgrade to 12×12 size album for $220 additional. This 10×10 album has a beautiful acrylic crystal image cover which features a highlighted image from your wedding day. The page layouts includes 30 images you select in an artistic style that can include graphic details which add flair to the dynamic photo designs, giving your album the perfect look to match the splendor of your wedding. Pricing starts at $750 for Coffeetable album with thin flexible pages or $950 for Flushmount album with thick rigid pages. All album pages are made with true photographic prints. Upgrade choices include 10 additional images for $100, or 20 additional images for $150. Can upgrade to 12×12 size album for $250 additional. Made by one of the finest album companies in the world, this is beautiful flushmount album has costumizable cover image shapes to make the album unique for your wedding. The quality is second to none and comes with 50 images you select, available in 10×10 size for $1,100. Click here to view other options with the Pictobook Bijou Elite line of albums. 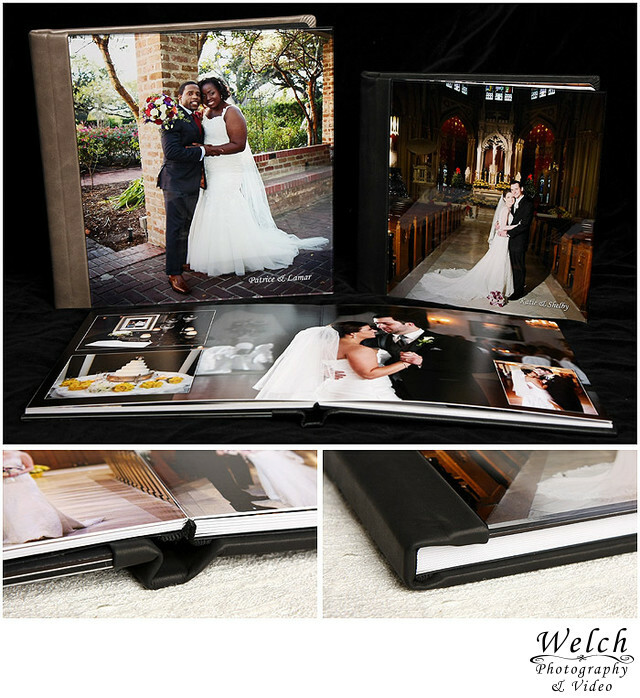 Another fabulous high end album from Pictobooks, this is a luxurious flushmount album that is for those who want the ultimate in style to treasure their wedding photo memories. 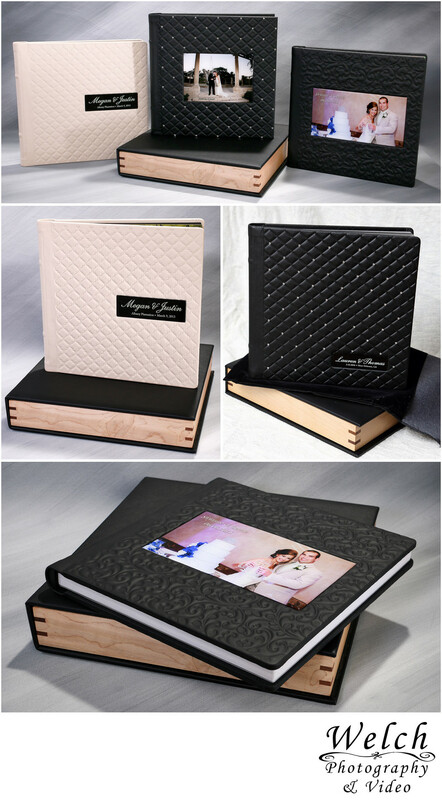 These exquisite albums have plush molded leather covers, choice of image cameo styles. They come standard in 12×12 size with a custom engraved wood case and 70 images you select, all available for $1,800. Click here to view other options with the Pictobook Modello line of albums. All albums are made with photos you select, and design is provided online for approval before being made. Please feel free to contact us with any questions or more information.